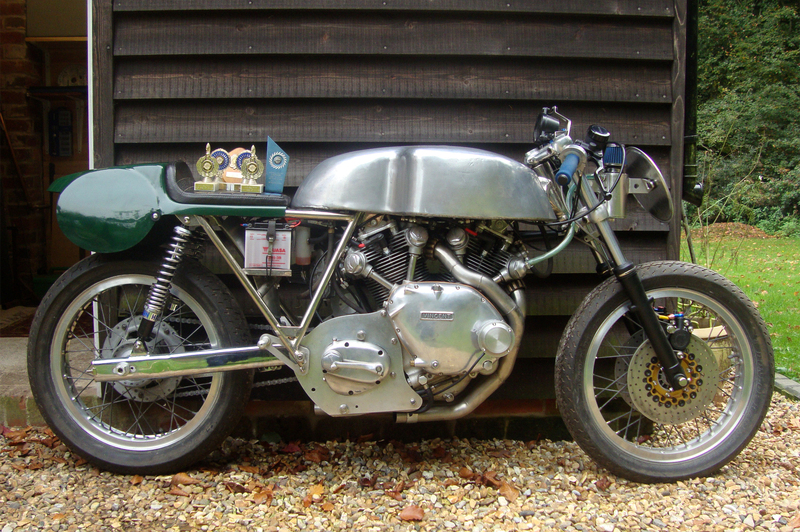 Mark Reynolds of Stedham, West Sussex, UK, sent me photos and details of his Vincent, whose history is somewhat representative of the transformation process from a stock Vincent to a racing special in the early 1970s. 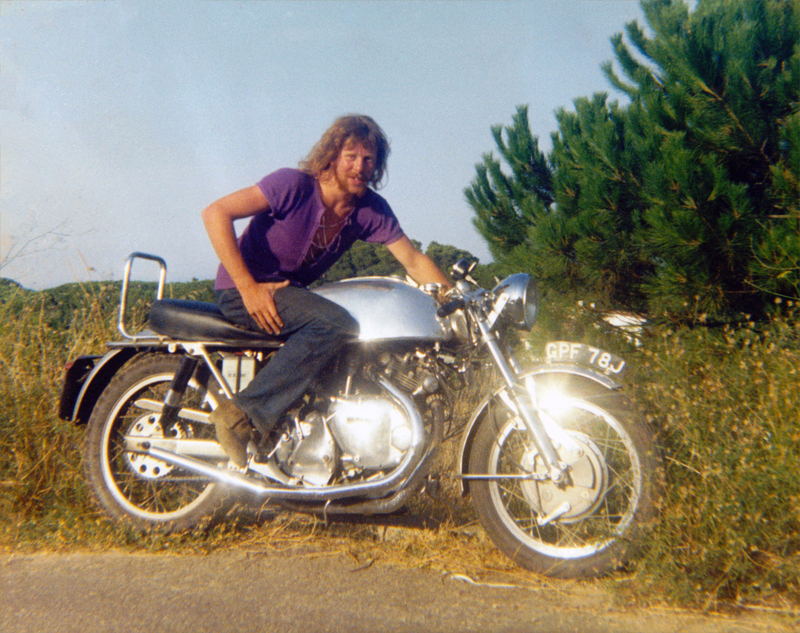 Mark got the chance to acquire his bike in 1968 from a Mr. Dunn of Headley Down, Hants: it was just a ‘basket case’, but a Rapide for £120 is rather a ‘dream case’ when you just turned 16! 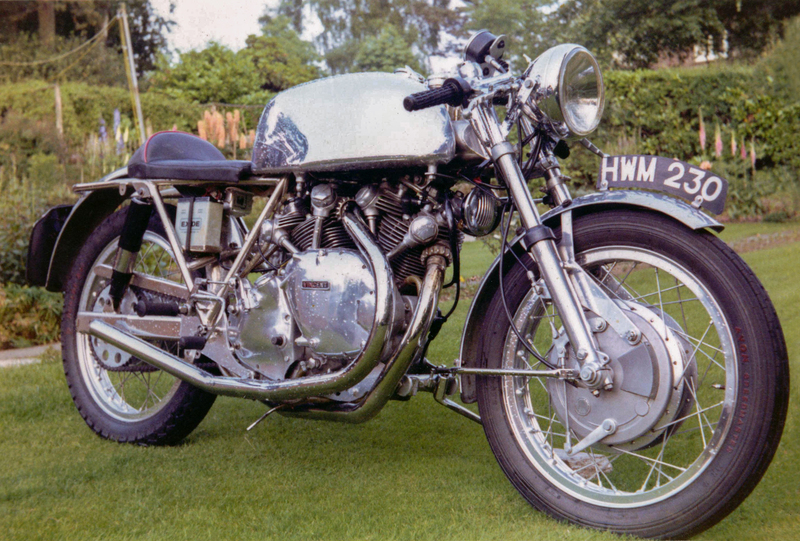 The VOC archives confirmed that the bike left the factory on March 26, 1952 with the UK registration HWM 230 for Reynolds of Liverpool—the local Vincent dealer—and his last owner was indeed Mr. Dunn, a VOC member since 1964. 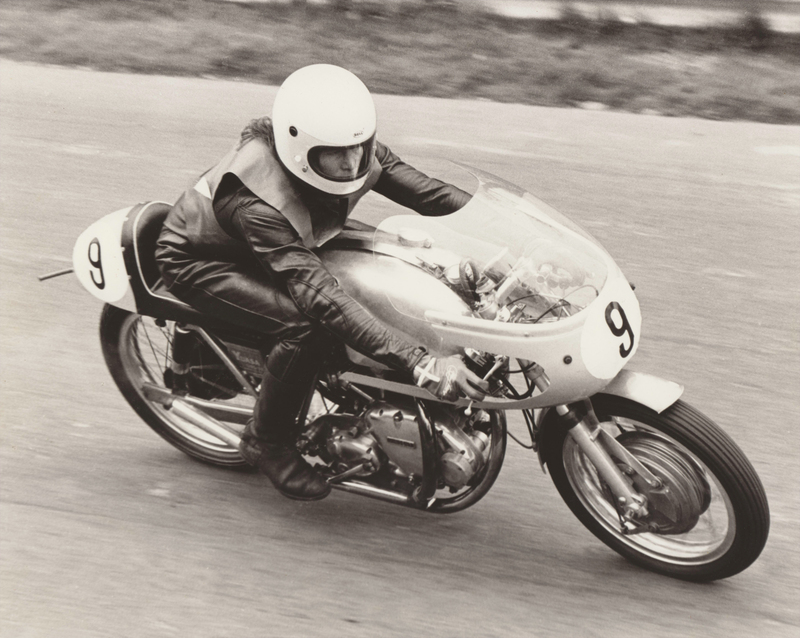 “I finished the restoration in 1969 and enjoyed my stock Vincent for many miles, but in 1970, I crashed it after a mighty tank slapper” says Mark; “…after having seen the Shadow 70 at the NEC at Birmingham, I contacted Roger Slater who sold me a complete chassis”. RS/C/116 is indeed a very early Shadow 70, the 16th of the first batch, between the Egli licensing period and the latest Slater coded VIN***. The ‘Egli’ was completed late spring 1971 and got its new registration GPF 78J. 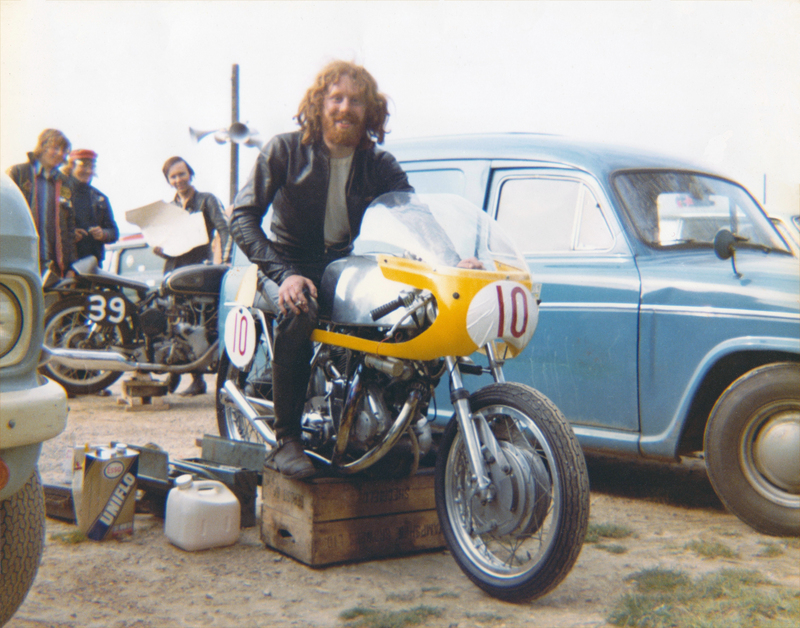 For this first summer, Mark rode to Spain and back with no major hitch and then used it regularly on the road until 1973, when he decided to convert it as a racer. “I wanted a close-ratio Manx gearbox so I swapped my original cases a first time for some totally chopped, and made up aluminum plates etc. 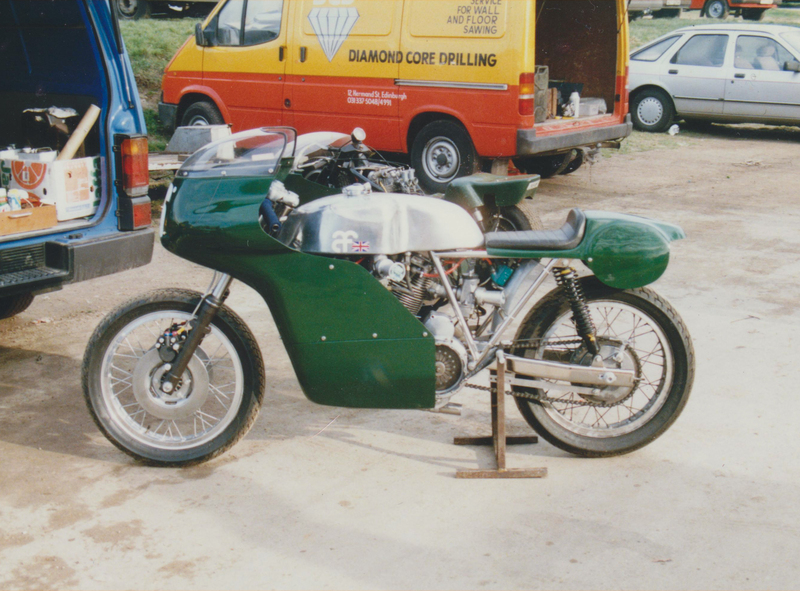 This first try was not a very pretty affair with a messy primary chain case arrangement, …but as such I entered a few races per year, mostly Cadwell Park, testing untried modifications with of course inconsistent results. I always considered myself as a novice but I succeeded to receive my first simple club trophy in 1975”. These new crankcases coded F10AB/1/2977 came from a 1949 Series C Rapide that went to Garreau of Paris on October 25, 1949 and a 88x86mm super-square configuration (1046cc) replaced the stock 84x90mm (998cc). 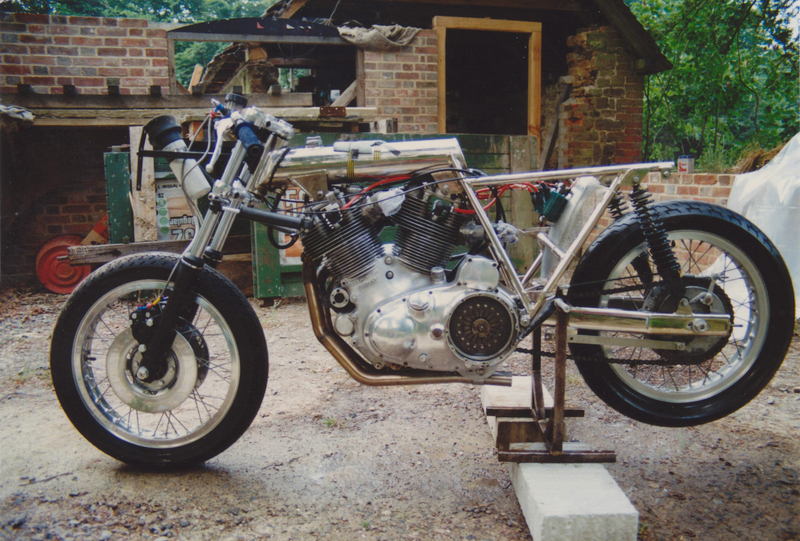 To complete the built, Mark installed a 42mm belt and designed the spacing to run an alternator in lieu of the dynamo. 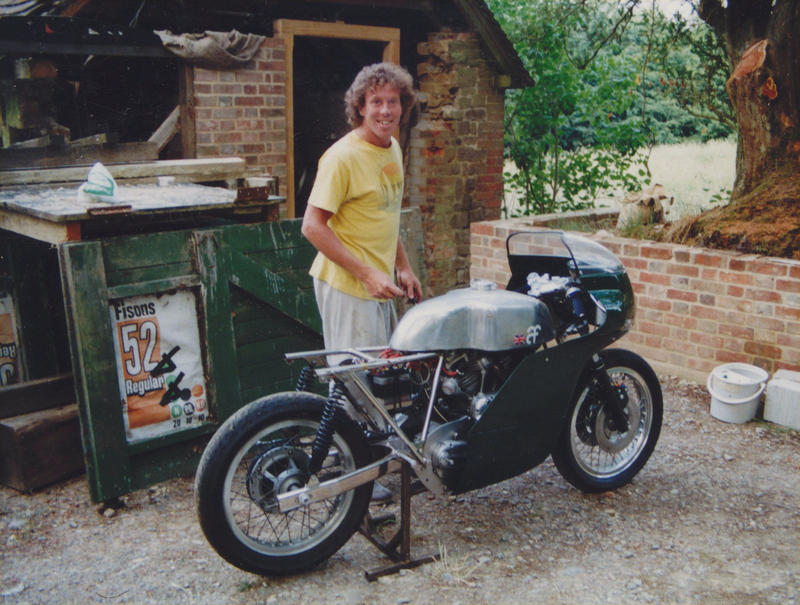 Then the front-end was also replaced by a twin-disk and fork from Morini and a Works Norton replica fairing was then added. The engine still has its short stroke but with larger 90mm pistons now displacing 1094cc. It has tons of premium parts such as Grey Flash valves, Manx pistons, revised Cosworth cams, polished and DLC coated rockers and cam followers, Smith USA chrome moly pushrod all screwed together with titanium hardware. 325lb on the scale! 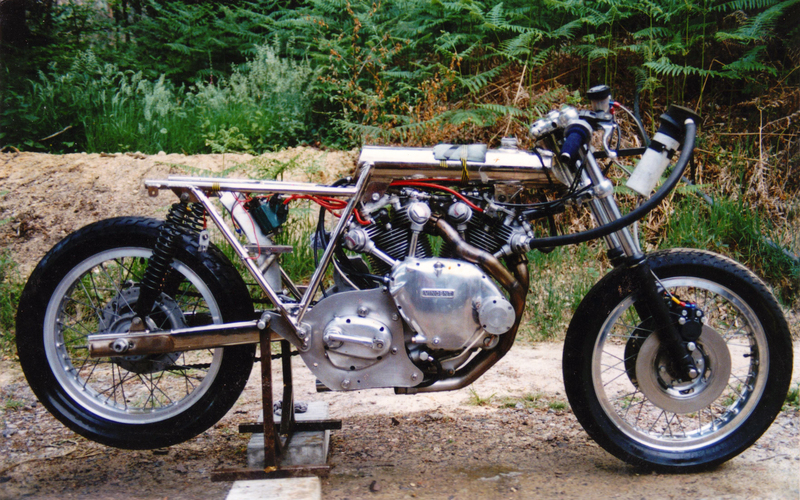 It is likely to be one of the lighter Vincent twin.